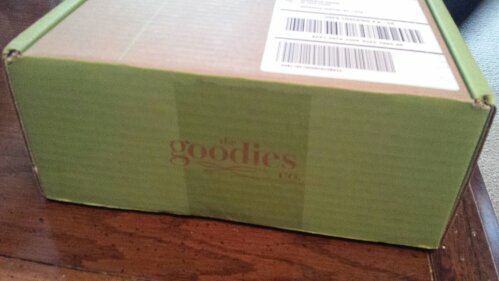 I had heard some mixed reviews about this upcoming Goodies Co. box and so I was not sure what to expect… however I was pleasantly surprised. Not only did they accidentally send me two boxes (woohoo!) but some of the items were really on my level. 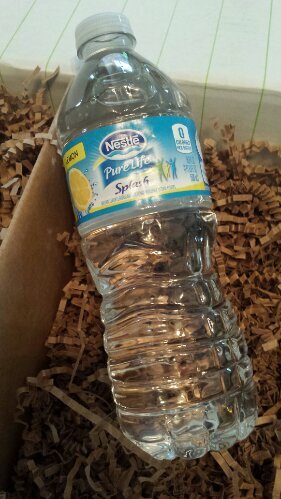 Before you question why they threw a water bottle into my surprise snack box, if you take a closer look, you’ll see that it is Nestle Pure Life Splash- a flavored water. I got this in both lemon (shown) and orange (my other box) and at first I was like ‘eh, it tastes a little fake’ but it reminds me of flavored seltzer, if you just removed the bubbles. I don’t think I’ll go out of my way to buy packs of these, but I would drink them if they were in my fridge. 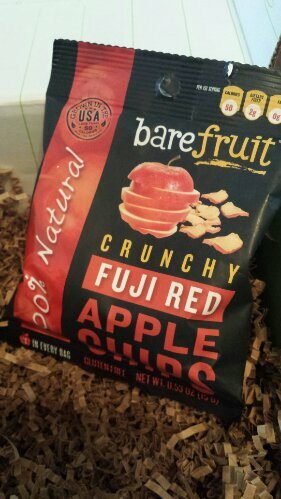 These apple chips by Barefruit are awesome! They’re a little tough when it comes to biting/chewing, however they taste good and are fairly low calories/carbs/sugars. They remind me of the apple crisps that come in a Panera Fuji Apple Salad, so you can guess how I’m going to use my other bag of them! This is my least favorite item in the box (along with the savory tea.. just because it freaks me out a little) and it’s just because I hate the flavor of black licorice. 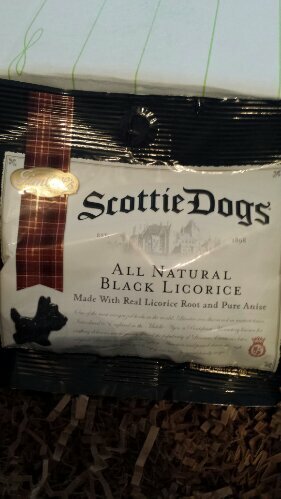 However, I did pass them on to my Dad who mentioned that they taste good and he likes that they come in scottie-dog shapes, however they’re a bit chewier than normal licorice. 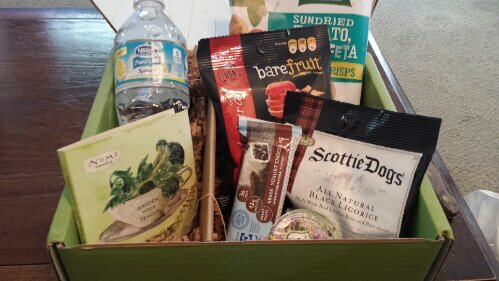 Luckily, my other box contained a packet of flavored olives instead! This little honey packet came in both boxes and is simply put- a little sample of honey! 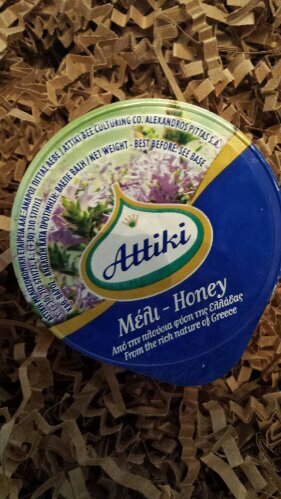 I wonder, since it’s made in Greece, if it tastes significantly different than the usual honey I use in my tea. 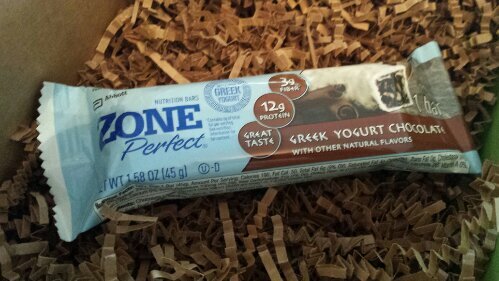 I’m pretty excited for these Zone Perfect Bars in Greek Yogurt Chocolate. It not only is a calorie and carb-controlled snack bar, but it comes in an awesome combination of milk chocolate and greek yogurt coating. 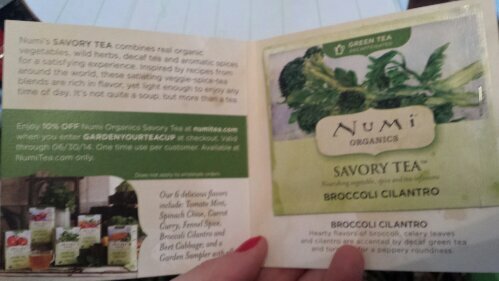 I have my fingers crossed that this will taste delicious. So, here’s the whole set of my first box! (Items from second box not shown). 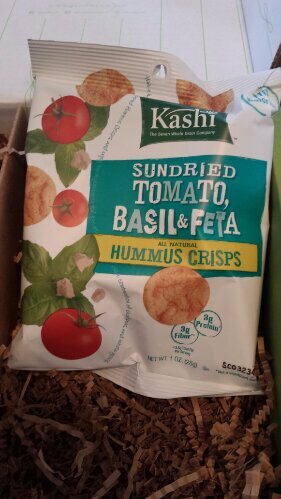 Like I mentioned before, I’m loving the Kashi Crisps and Apple Chips, but would veto the Licorice Scottie Dogs and Savory Tea. 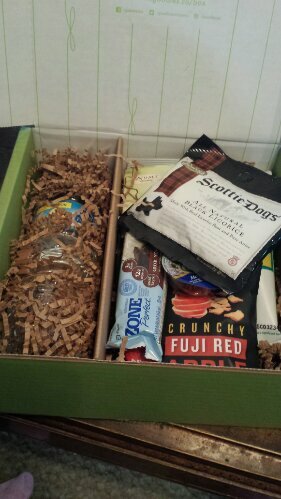 I hope my next box has a great variety like this one- perhaps with a product like almond butter, chocolate coconut water, protein cookies, dried fruit leathers, etc. Interested in Goodies Co? 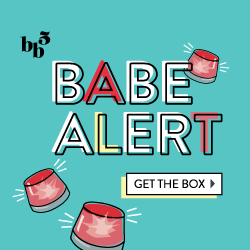 Sign up here for the regular or kid-friendly box!